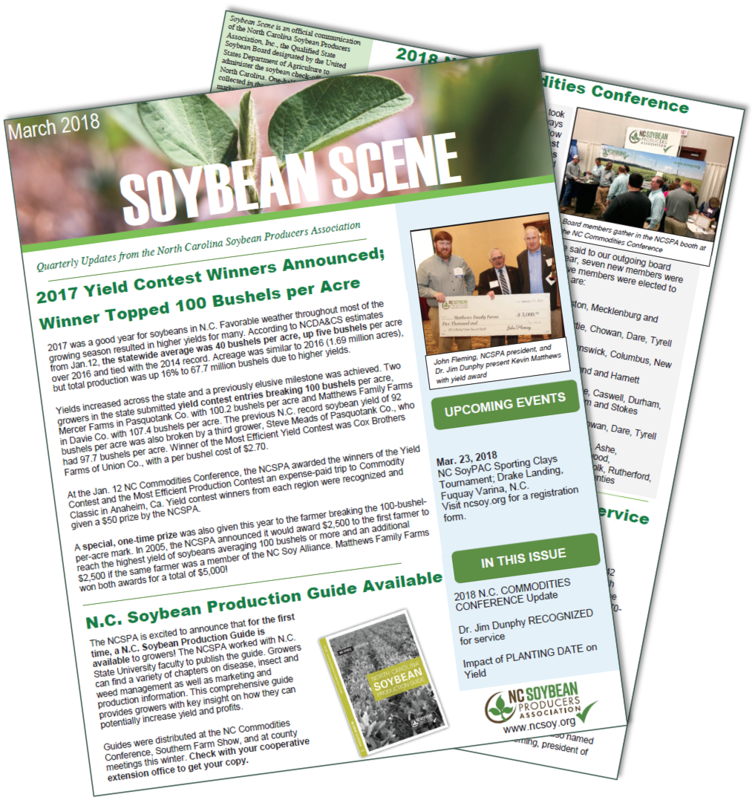 Soybean Scene is an official communication of the North Carolina Soybean Producers Association, Inc., the Qualified State Soybean Board designated by the United States Department of Agriculture to administer the soybean check-off program in North Carolina. To assist us in maintaining an accurate address file and reduce postage costs, please notify the NC Soybean Producers Association (1-800-839-5775) of any address changes or corrections. Comments and suggestions are also welcomed.